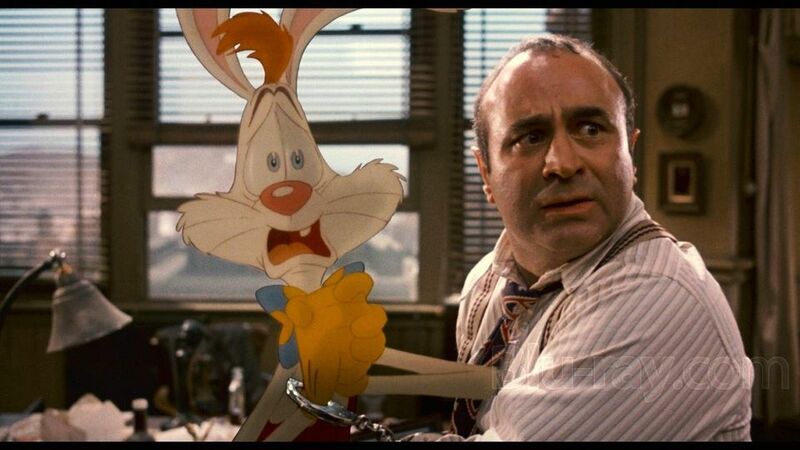 Who Framed Roger Rabbit is a movie that would almost certainly never be made today. A noirish murder mystery based in a 1940s Los Angeles populated by the iconic animated stars of both Disney and Warner Bros studios? The human lead played by a stocky, middle-aged British character actor? All featured in a script packed with violence and overt sexual innuendo? Marketing executives would either laugh themselves to death or go into palpitations if presented with the script today. And yet, in 1988 Robert Zemeckis and Steven Spielberg not only got the film off the ground, it became one of the most successful movies of the decade – a smash hit with both audiences and film critics around the world. Looking back on the film today, it feels both ahead of its time and unapologetically retro. Nostalgic in-jokes Dumbo’s peanut-driven pay scale and the sad fate of Betty Boop are combined with groundbreaking effects work and a subversive streak of adult humour. Despite that adult humour, much of the film’s appeal in 2017 depends on having seen it as a child. From the imaginative leaps the film demands – the central plot is both paper thin and needlessly complicated – to the impact of Christopher Lloyd’s chilling portrayal of Judge Doom, the film is much more effective if viewed at an impressionable age. Without the warm glow of nostalgia, you may pick up on a few more of the film’s more mature references, but you may also find elements of the film more than a little problematic, and Roger’s relentless zaniness surprisingly grating. In terms of an actual sequel, director Robert Zemeckis has said, “The current corporate Disney culture has no interest in Roger, and they certainly don’t like Jessica at all.” With this in mind, even a reboot seems rather unlikely, at least in anything close to the tone of the original movie. So for better or worse, Who Framed Roger Rabbit seems fated to exist as a Hollywood curio – a beloved mainstream hit that nobody really knows what to do with. Harry’s Pitch | Who Framed Dodger Rabbit? Invoking a classic sequel trope, Who Framed Dodger Rabbit replaces the original title character with a star for a new generation – namely his son Dodger, who has followed his father into show business. Unfortunately, there’s not much call for traditional hand drawn antics in 2017, and a bad day for Dodger starts with his cartoon sitcom getting canned and ends with him as the main suspect in a murder-vandalism case involving a beloved Pixar icon. Our Who Framed Roger Rabbit episode is available on iTunes, Stitcher, aCast and various other podcasting platforms. If you like what you hear, please take the time to write us a quick review – it really helps our visibility.